Ever wondered how designs are permanently “printed” onto t-shirts? There are several techniques that are used to transfer various designs onto t-shirts, and the most common technique that is used is t shirt screen printing. This technique involves the use of stencils and woven mesh plates, which are placed on top of the cloth. This is also known as serigraphy and silkscreen, and was first used in China sometime during 960 A.D. While screen printing may sound complicated, but it is actually quite easy to do. Here are the steps. 1. Gather all the needed materials. The materials needed to screen print a t-shirt are the stencils, a wooden frame, the mesh cloth, a squeegee/fill blade, and the fabric paints. 2. Prepare and print the design. Most t shirt screen printing businesses allow customers to send the designs that they want to be screen printed through email. These designs are turned into composite copies and the customer checks the proofs that are sent to them by email. Several copies of the design are then printed onto film and sent for processing. 3. Process the film. Now that the design has been printed onto film, it is covered with photosensitive emulsion. Finally, it is exposed to metal halide light and washed. 4. Block the screen. More complicated designs – especially those that have a lot of colors – would need a handful of stencils (one for every color), which is why several copies of the design need to be printed in Step 2. Each stencil is placed in a single mesh frame and helps block the other areas of the cloth that don’t need to be filled with a certain color and/or design. 5. Tape and setup the screen. These stencils are taped onto the frame and set up on a special clamp, which prevents the frame from moving while the ink is applied onto the t-shirt. 6. “Print” the design. Once the ink has been poured into the frame, a squeegee is used to push the ink through the mesh and onto the cloth. The frame is removed and the ink is left to dry. The next stencil is placed after the ink has dried, and the process is repeated until the entire design has been filled out onto the shirt. One may also follow these steps to do t shirt screen printing in their homes, but the process would be slightly different. Instead of processing the film, one can directly trace the design onto the mesh fabric and use latex paint to block certain areas, such as those that need a different color. The needed materials for doing t shirt screen printing at home would be the stencil of the design that one wants to transfer onto their t-shirts, an embroidery hoop, a transparent curtain or fabric with small holes, latex, watercolor, and black fabric paints, a sponge brush, and a t-shirt. Most of these materials may be bought from a local crafts store. 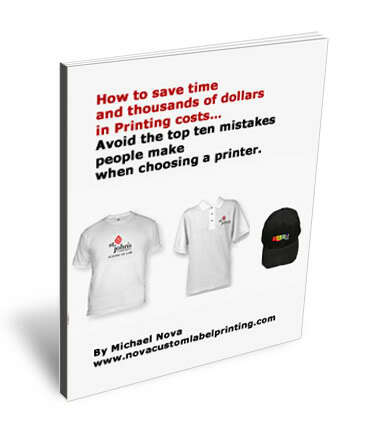 This T Shirt Screen Printing article was written by L Taylor for Nova Custom T Shirt Printing. Read part two here.